Karen Mozingo's research interests include performance studies, dance theatre, and feminist theory. She has received both national and international support, including fellowships from the Alexander von Humboldt Foundation, German Historical Institute, and The Ohio State University. She has presented her research at annual conferences of Congress on Research in Dance, Society of Dance History Scholars, National Dance Educators Organization, and International Council Kinetography Laban/Labanotation, and her articles have been published in Dance Research Journal and the Journal of Dance Education. During the past ten years, she has taught performance studies, theatre, and dance courses at SUNY Potsdam, The Ohio State University, the University of North Carolina at Greensboro, Case Western Reserve University, and Stivers School for the Arts. As a dance artist, Karen has performed and presented her choreography both nationally and internationally. She has worked with a variety of contemporary choreographers including Lizbeth Goodman, Jan Van Dyke, J Hammons, Susan Van Pelt, Kathryn Karipides, and Kelly Holt. Her dance background includes training in Cunningham, Limón, Hawkins, Wigman, and Laban dance techniques. Focusing on narrative, visual imagery, and the fusion of choreographic form and thematic content, Karen's choreography demonstrates her combined passion for contemporary dance and theatre and her ongoing interest in interdisciplinary collaboration. Karen's professional experience also encompasses curriculum development, program administration, and arts advocacy. From 2001 to 2003, she served as Executive Director of OhioDance, a statewide professional service organization for dance artists and educators. She has been active in issues of education and advocacy at the state and national level by serving on arts assessment, content standards, and grant advisory panels. 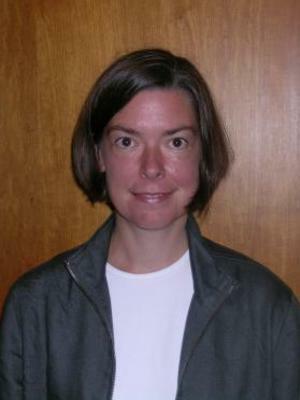 Karen was a research associate for the National Dance Education Organization's project to create a national research database for dance education. She helped revise the statewide Handbook for Gifted and Talented Identification in the Arts, led training sessions for educators in Ohio, and served on the boards of Ohio Alliance for Arts Education and Ohio Citizens for the Arts.